Add a touch of glamour to this 4-light track fixture in a satin nickel finish with clear crystal glass. Compliments the dining room lighting and home decor. Because its beautiful! I love it. What is the kelvin/temperature of the included bulb? BEST ANSWER: Hi - The color temperature of the included halogen bulb is 3000K. BEST ANSWER: Hi, it is a brushed nickel finish, silver. What is the diameter of the cover that goes against the ceiling to conceal the junction box? BEST ANSWER: Hi, the canopy measures 5" wide. Is this fixture bright enough for a kitchen? I bought the Anissa 4-light crystal fixture. do the have an extension for this fixture to drop it 6-12 inchs from the ceiling ? BEST ANSWER: Hi Scott - this fixtures height is fixed and there are no options for extension. Will this install on a sloped ceiling? BEST ANSWER: Yes, this one would work fine on a sloped ceiling. Can it take more than 20 watt halogen? BEST ANSWER: No, the unit is only rated for 20W per bulb max. I have included an LED that produces a brighter light output that will fir this light. I have only used the stated 20W bulbs, and find that it is as bright as I would want for over the mirror in a bathroom. The delivery was very prompt. 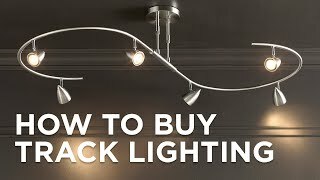 I have bought several other lights from Lamp Plus and have never been disappointed. It’s beautiful. I love that you can adjust them. Very glam!